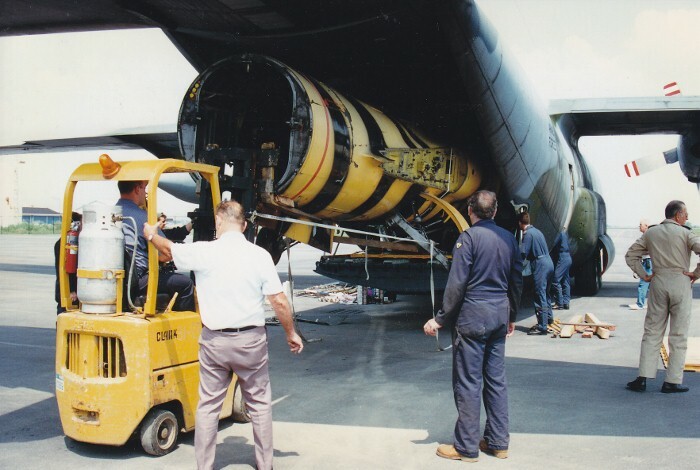 On August 5, 1996 Starfighter #104756 arrived at the Museum via a Canadian Armed Forces C-130 Hercules. 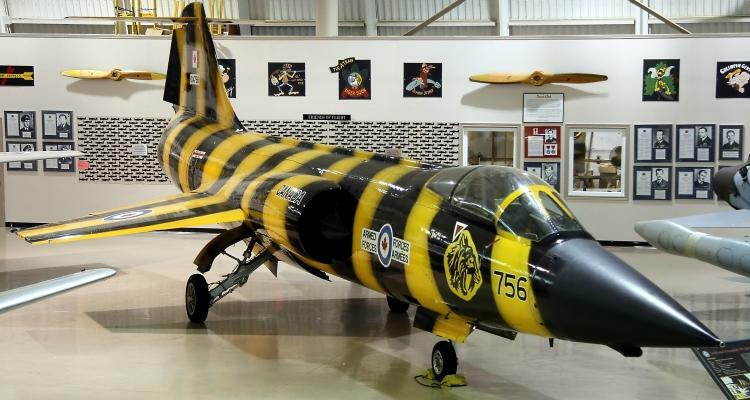 One of the most revolutionary military aircraft ever produced, the F-104 Starfighter was designed by Kelly Johnson and his team in 1952, at Lockheed’s legendary “skunk works” in Burbank, California. The USAF ordered two prototypes in early 1953 and the XF-104 first flew in February 1954. 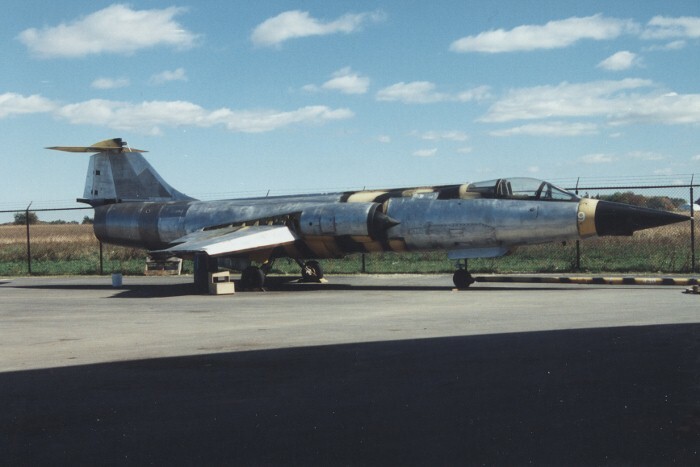 Records established by the F-104 Starfighter are impressive: world altitude & speed records of 91,240 feet and 1,404 mph respectively in May 1958, world altitude record raised to 103,395 feet in December 1958 and unofficial world altitude record of 120,800 feet in December 1963. 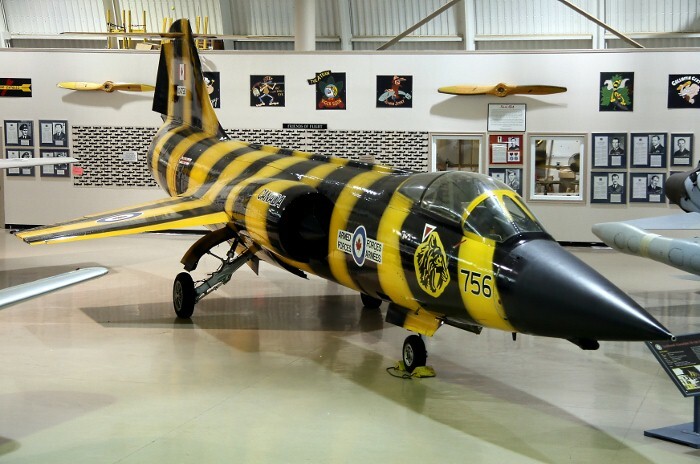 The Museum's CF-104 Starfighter served with No. 439 Sabre Tooth Squadron in Europe. 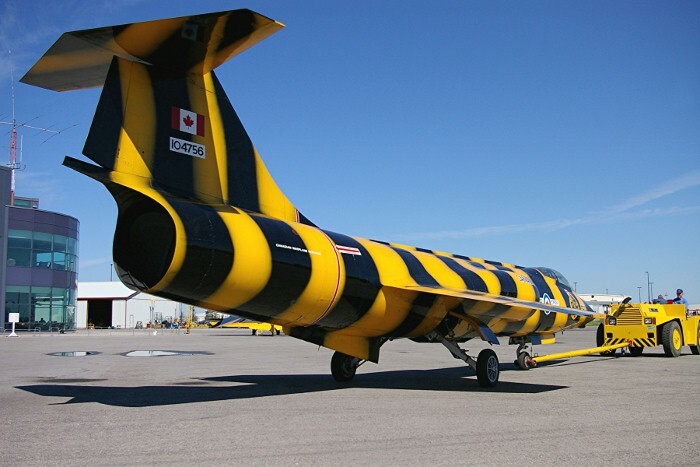 The distinctive yellow and black stripes recreate the squadron’s entry in a NATO “Tiger Meet”. Many countries took part in this competition, represented by squadrons that had the Tiger as their emblem. 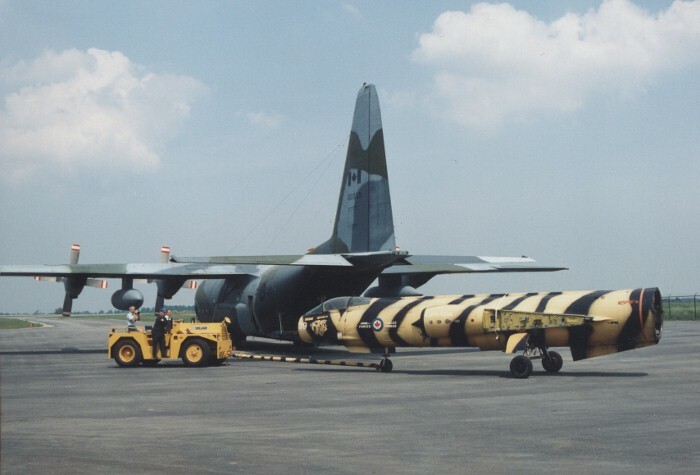 The aircraft was acquired from the Deptartment of National Defence in 1996.